On Chestnut Avenue (NB) just north of Grove Street (where a new traffic signal has just been installed). The RR line is basically at grade, so Chestnut dips way down to avoid it (and is briefly a Divided Highway!). 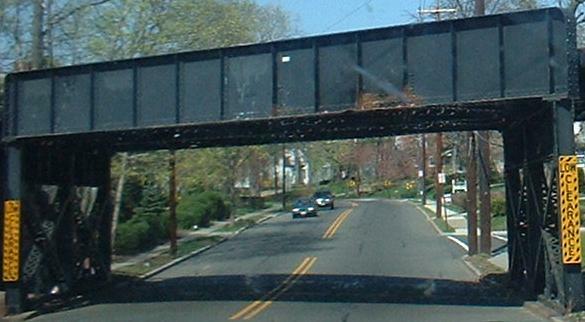 Given the amount of traffic Chestnut has, a grade crossing probably makes more sense here, but too late now. For signalgeeks, there was once a pair of four-way signal heads at Chestnut and Park, but I think those were recently removed. 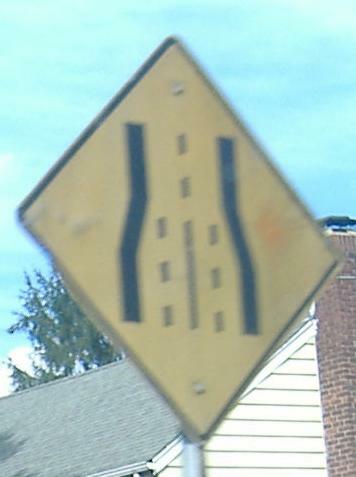 Very recent town-installed signage for that underpass - I'll let you figure out what's wrong here. Montclair loves signing roads that aren't roads. This is probably too narrow to fit a car, but is still a publicly owned and maintained road; thus, it gets its own street sign. There are other alleys scattered about town as well. 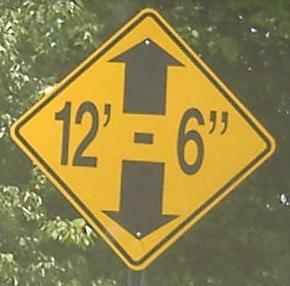 Low clearance is usually marked on the top of the trestle, not the sides. The old sign was where the rust is now, so maybe that's why it came down. There still is the advance warning for this old Valley Rd. NB truss, many of which remain in town. 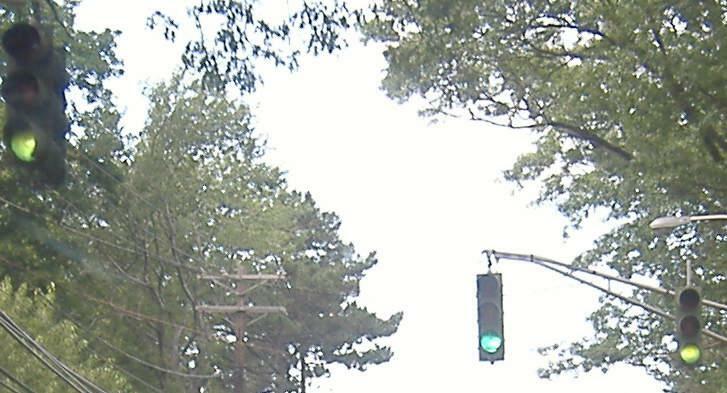 Grove St. NB; the first photo shows off-color signals that are at least 20 years old - I am personally vouching that the middle one has been darker since I attended the elementary school to the right. 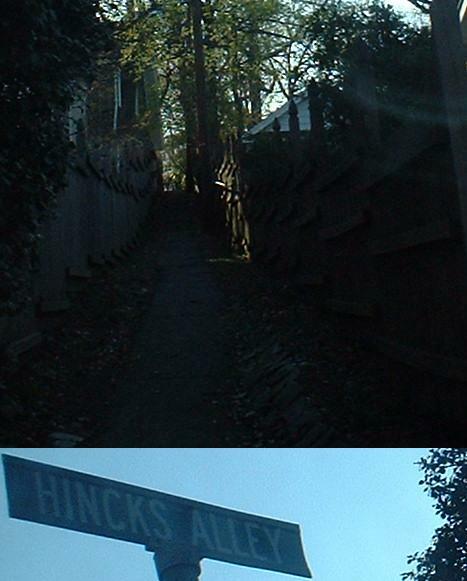 The sign in the second photo is also as old as my memory, and is not accurate - Grove St. is two lanes pretty much throughout Montclair - but is an early form of road-narrows sign.